I love that my son loves sweet potatoes. They are high in vitamins A and C, the trace minerals manganese and copper, and are a decent source of dietary fiber. The kiddo doesn’t know that, though. He just thinks they taste good. I, on the other hand, was never that much of a fan as a kid. See, my mom only made sweet potatoes at Thanksgiving. With marshmallows. Ew. You’d think a kid would like that. It tastes like candy, right? But, nope. I thought that sweet foods should be desserts, and salty foods should be dinner. The end. I’ve gotten over that and now like a good Indonesian curry with a hint of palm sugar, or a salty pretzel covered in chocolate. And sweet potatoes? I’m learning to like them. The next time you fire up the grill, try this super simple preparation. You (and your kids) might like them, too. Toss all ingredients in a bowl. Wrap in 2 layers of aluminum foil and cook on the grill for approximately 25 minutes. Time to cook will vary depending on how hot your grill is. 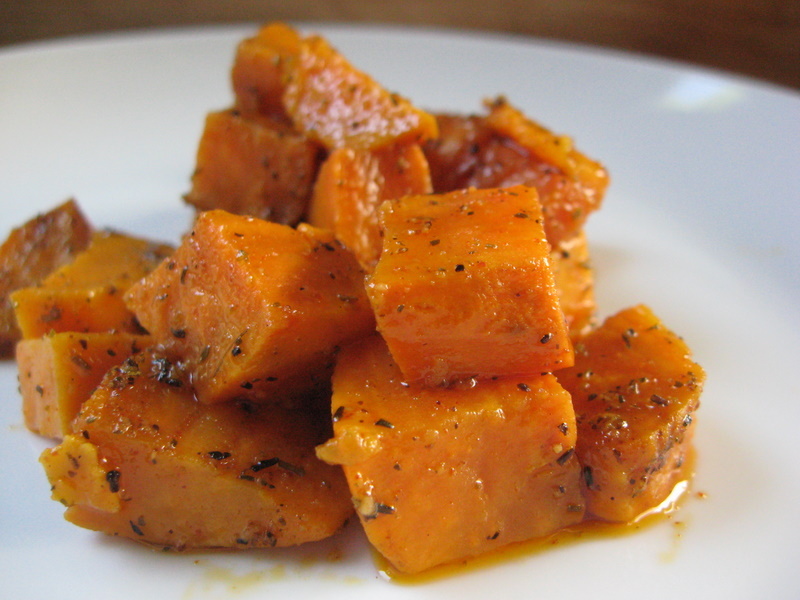 This entry was posted in side dish, sweet potato, vegan. Bookmark the permalink.